I have a hilarious story about this dish. We cooked Beef Giniling a couple of weekends ago because we had friends coming over. And as is the custom here in New Zealand, visitors "bring a plate", meaning they cook or buy something to bring along for their share of the meal. 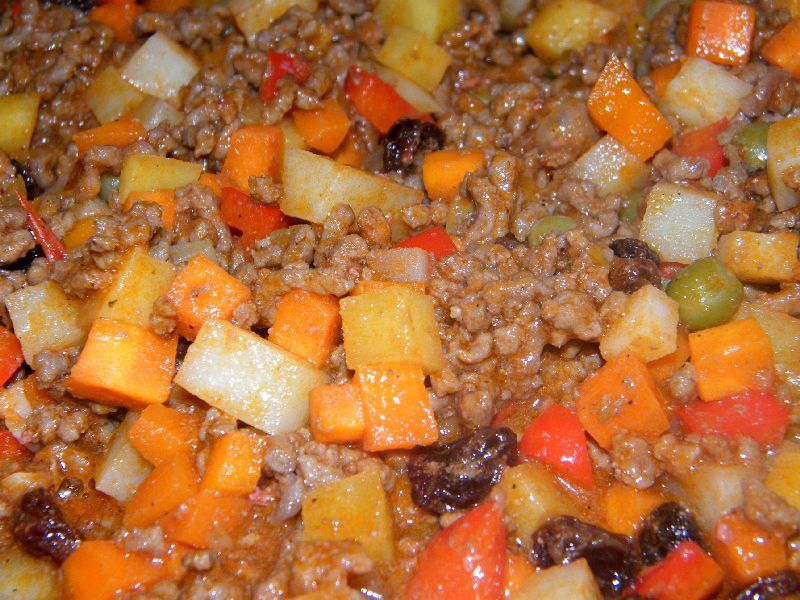 We were surprised that one of our guests brought a dish similar to ours, but they called it Picadillo. So we then had our dinner and ate some of our Giniling and their Picadillo thinking that we were eating different dishes that tasted similar with each other. It turned out these were one and the same! Sure, ours had raisins and had a darker colour due to the tomato paste and theirs was watery (my Nanay cooks it that way actually), but the base ingredients and cooking method are the same. Wikipedia also revealed that it is also something we share in common with Latin American countries (Cuba, Puerto Rico, Dominican Republic, Mexico) though there are some variations as well. 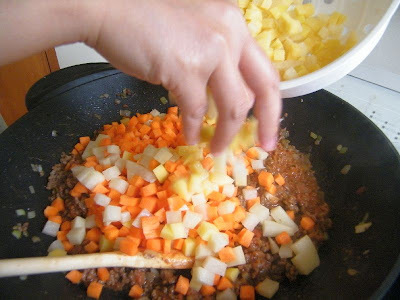 And that the word Picadillo comes from the root word "picar" which means "to mince" or "to chop", which in Filipino means "giniling". Fun and colourful, it's a yummy, festive addition to any meal. Here is our take on Giniling, which we now know also as Picadillo! Place minced beef on the frying pan over medium heat with some water (see photo below). Season with pepper. Your mince may have stuck together so separate these and mix occasionally as the meat cooks. 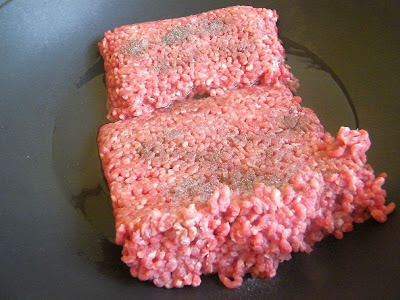 The meat will undergo some changes. First, the beef will release its own water content and this soon evaporate. The reddish colour will turn brown. It will eventually release oil after the water is gone. Continue mixing and cooking for a couple more minutes then set aside. Add cooking oil to the pan and saute the onion, tomatoes and garlic. 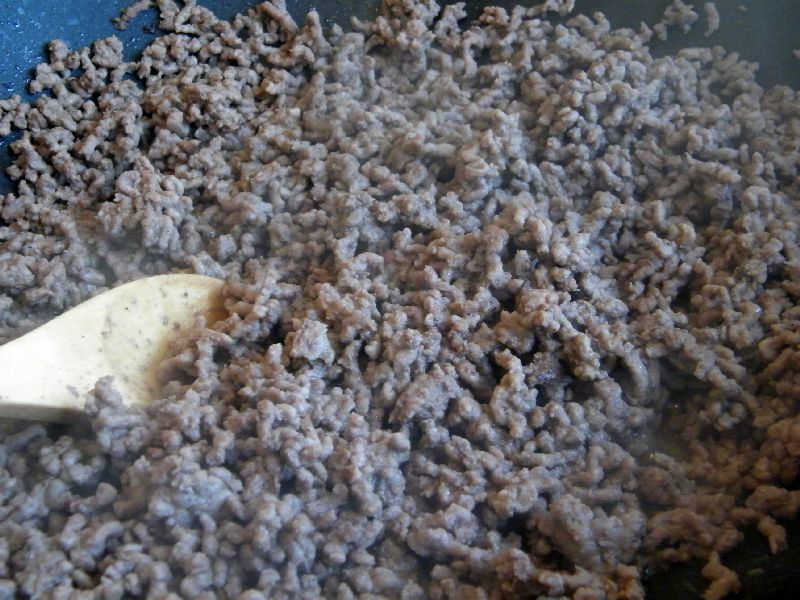 Then bring the minced beef back to the pan. 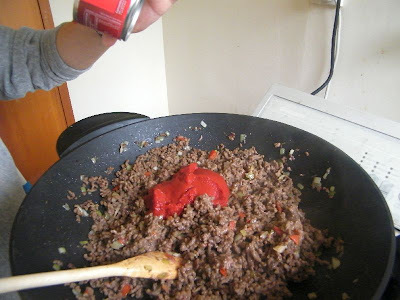 Add the tomato paste and water for a bit of sauce and mix. Add the potatoes and carrots. 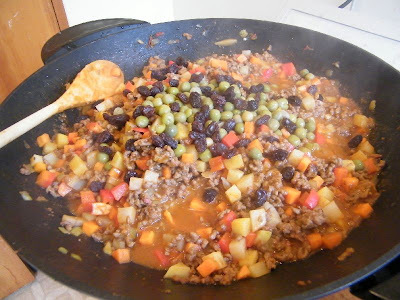 Cover and simmer until veggies are cooked. Add the dry peas and raisins and mix. These final two ingredients does not really need cooking so just mix these in. Adjust the taste using fish sauce. Serve with hot, steamy rice. Enjoy. nick, yes it is picadillo, a mexican cuisine. I love to cook that as well. 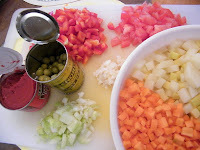 Instead of beef or pork(giniling) I substitute it to chicken or turkey meat. one of the fave ulam we cook at home! This one I do not mind having as leftover the next day. Sarap kasi. This can even be paired with pasta if you don't want rice!